New videos and analysis prove that the PS4 version of BF4 is the best one when it comes to next-gen consoles. Battlefield 4 is out on PC and current generation systems, and will soon be available on next generation consoles as well. And if you’re still undecided on which console to buy, rest assured that Battlefield 4 runs better on the PS4. 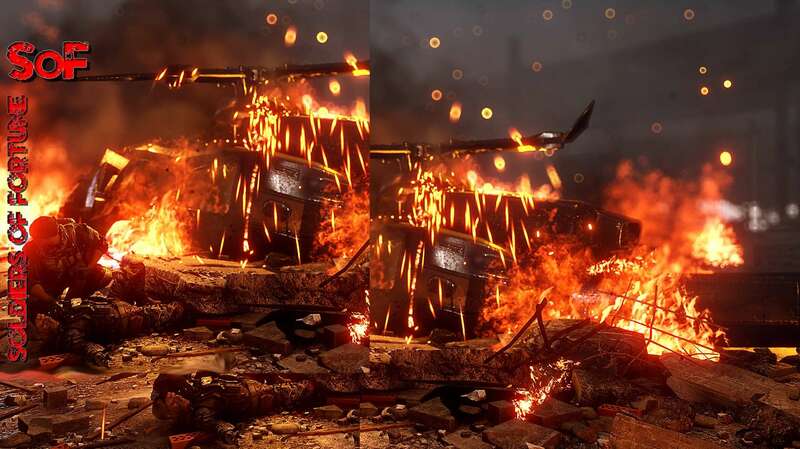 According to reviewers (who already have next-gen versions of Battlefield 4), the game is best experienced on the PS4, both when it comes to visual quality, resolution, and framerate. Battlefield 4 runs at a higher resolution on the PlayStation 4, at 900p, compared to just 720p on the Xbox One. Furthermore, the PS4 version features a higher overall framerate as well. Eurogamer ran a comprehensive test of Battlefield 4 on PS4 and Xbox One, and as expected, the PS4 version came out on top. They even released a video comparing the two versions, and while you have to look closely for any difference, it’s there. This isn’t a big surprise — the PS4 graphics processor is 50% faster than the one in the Xbox One. We’d be genuinely surprised if DICE didn’t take advantage of that. Are you getting Battlefield 4 on next-gen platforms? If so, let us know which one and why in the comments section! I've seen quite a few comments saying the Xbox One version looks better but I think those people are making that judgement simply because the contrast is higher on Xbox One which makes it appear brighter.